Domestic abuse (physical, emotional, verbal, sexual, financial, etc.) occurs whenever one person in an intimate relationship tries to dominate and control the other person. The abuser has one purpose and one purpose only: to gain and maintain total control over you by using fear, guilt, shame, and intimidation to wear you down and keep you under his or her thumb. They may also threaten you, hurt you, or hurt those around you. Whether in the present or the past, abuse can have a serious impact on the way a person thinks and interacts with the world around them. Focus Ministries CF has made a difference in the lives of women. Their testimonies are powerful! Come join us and begin healing, today. 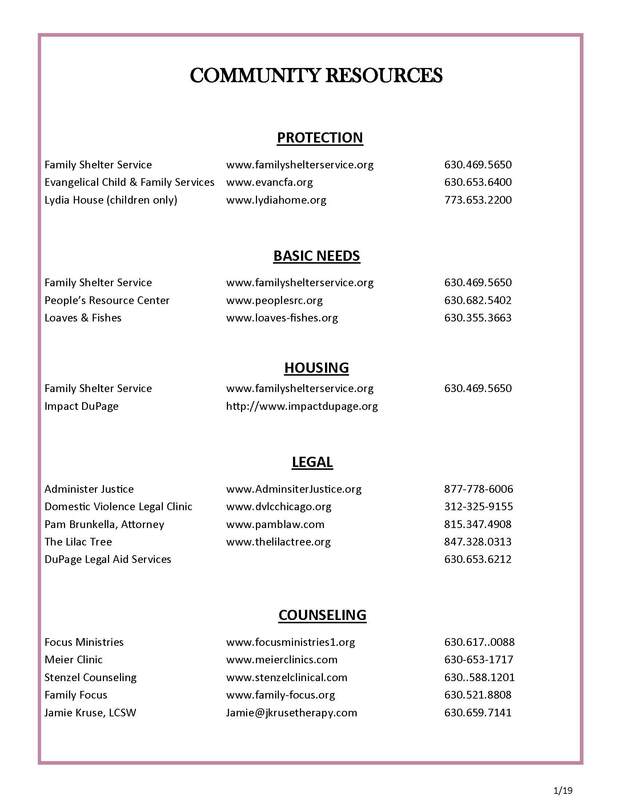 We are here for you. Focus Ministries, Inc. is an non-profit organization that reaches out to women who find themselves in destructive and hostile relationships, offering hope and healing in the Lord Jesus Christ. Community Fellowship supports this crucial ministry. If you are interested or know someone who could benefit from attending, meetings are held at CF the second and fourth Sunday from 6-8pm.